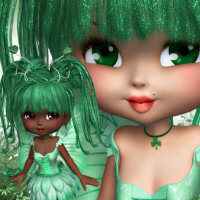 Free Irish Fairy Graphics in the PNG format. Add some Irish luck and magic to your St. Patrick’s Day designs. Free Christmas Beauty Graphics, 16 dazzling ladies in holiday gowns for your Christmas or other festive occasion designs.